I can't believe it's already May, the end of May at that! April flew by! School will be out soon. The weather is getting quite warm. 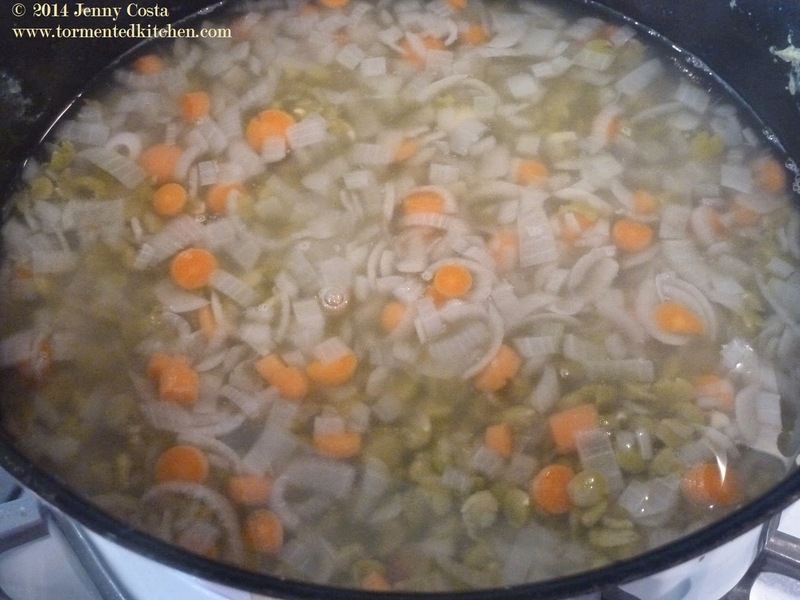 We had a few cooler, rainy days, but I think we are officially at the end of "soup weather." We'd had a ham so I had this huge ham bone with tons of meat still stuck to it. There are so many things you can do with the ham, like scalloped potatoes and ham, or ham salad. The ham bone is perfect for flavoring beans or peas. 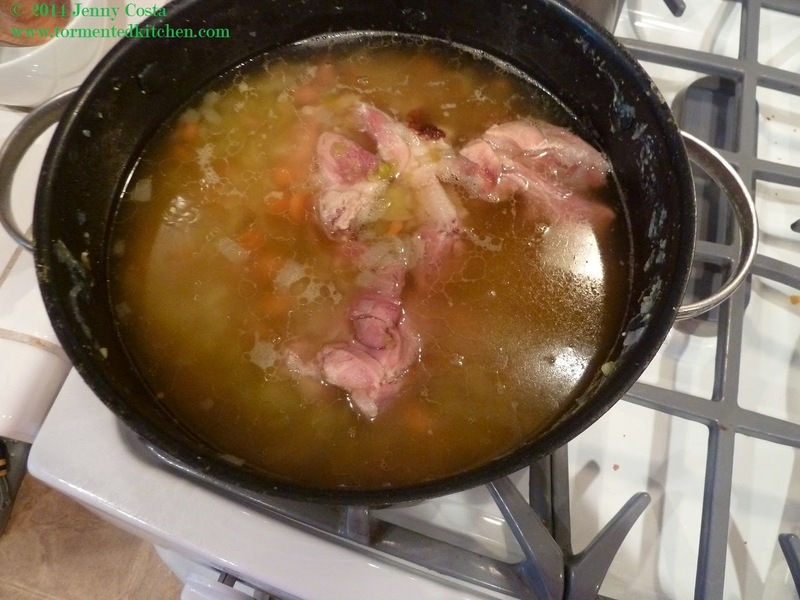 Split pea soup is the best when you have a whole ham bone. I've tried using little ham steaks cut up, but the flavor isn't there. You need the bone. It's the same as stock from beef or chicken. You need the bone and marrow for body and depth of flavor. 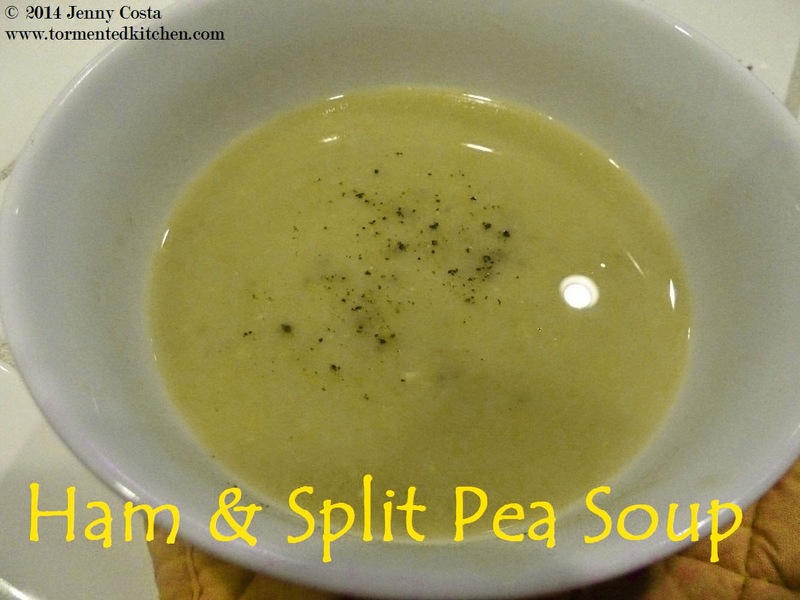 Split pea soup is really easy, not many ingredients and not much work. It's great with some bread and a salad. 1. Rinse peas and remove any debris. 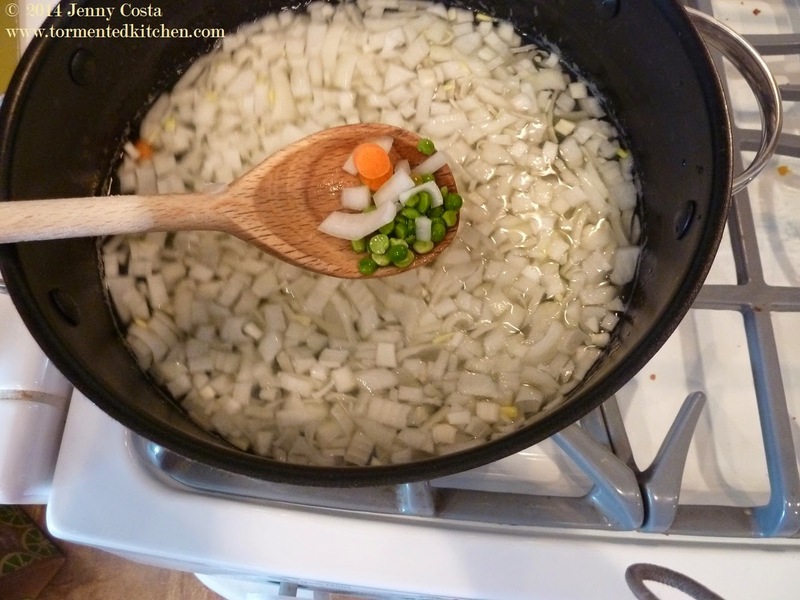 Add peas, onion, carrot, and water to a large stock pot. Bring up to simmer over medium heat. Let it simmer, covered, about 1 1/2 hours. 2. 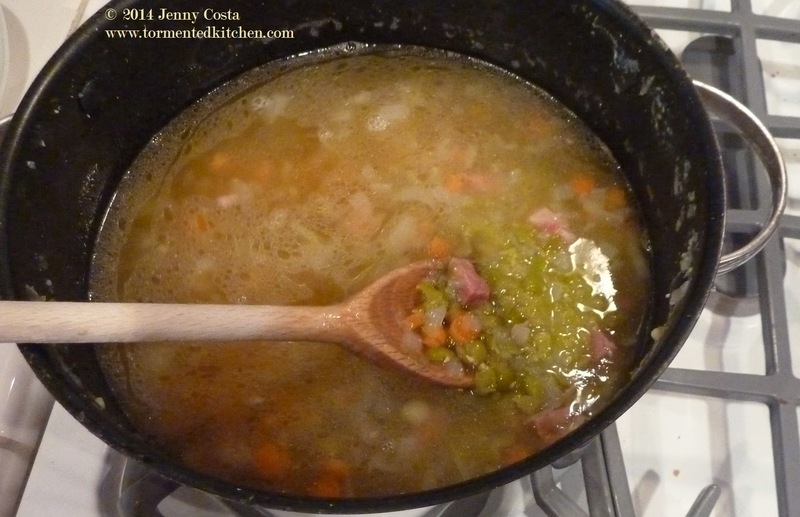 When the peas are fairly tender, and beginning to break down, add the ham bone. Simmer another hour. 3. Taste test your soup. Add salt and pepper, if desired. Remove the ham bone. If you want a super smooth soup, you can puree it now. If you want a chunky soup, don't puree it. 4. My ham bone still had plenty of ham on it, so I cut off and diced up what I could. I got about a pound of meat off my ham bone. The ham went back into the pot. I pureed after the ham went back in so it was not completely smooth. I used a stick blender to do this. Be careful not to splash hot soup all over. 5. Taste again and adjust seasonings as desired. 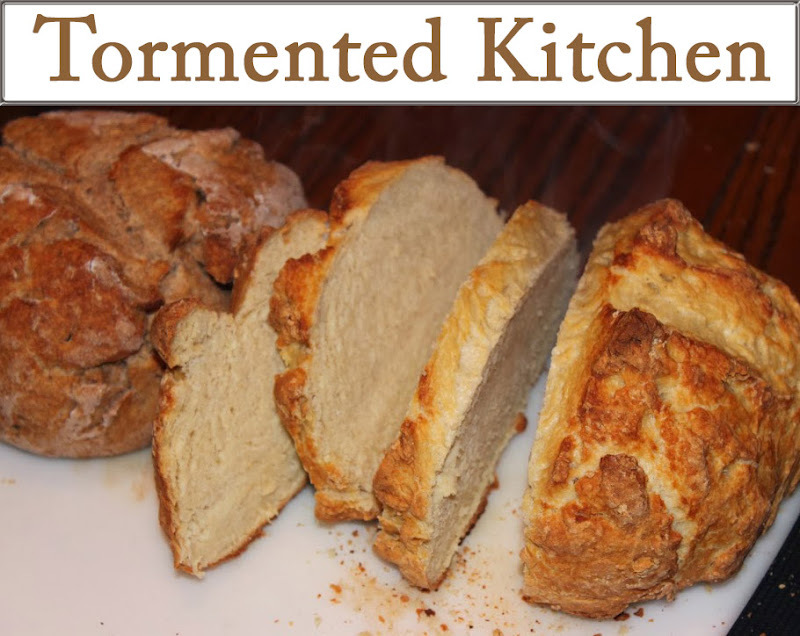 Serve hot with crusty, hearty bread and extra cracked black pepper. If you like bread bowls, a round sourdough loaf hollowed out would be perfect for this. Enjoy! See you again very soon!